It’s Friday! The super-sweet new training area is slated to open today, and the sun is shining. What more do you need? Peak is running its normal business hours all weekend. Not sure what to do with Mom? Bring her in for a sampler! 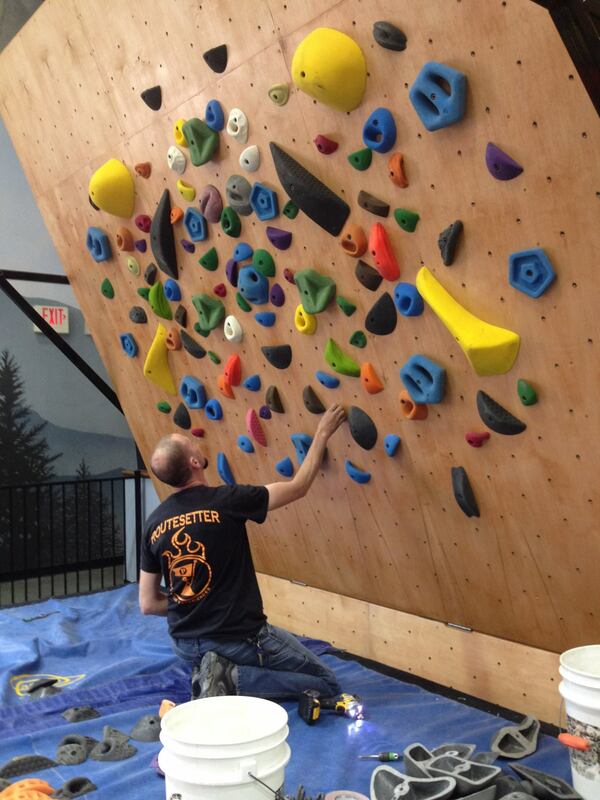 Open Climb hours are 11-4 Saturday and Sunday. Did we mention the new training area is open? Go check it out. It’s that important – there is no other news this week. Oh, except that Dominion RiverRock is next weekend. If you’re not stoked for that, you should be; the Boulder Bash is one of the most exciting climbing comps in the area. I know it’s a highlight of my year. There will be some big names and local favorites competing this year, so be sure to stop by! The annual Ring of Fire competition was last weekend, and Daniel Woods got beat by a thirteen year old girl. (Okay, that’s a bit of an oversimplification, but it’s fun to say.) Check out the highlight video and get stoked for…well, whatever. It’s a pretty inspiring video. Check out the arch on that one! Friday: It’s going to be 94 degrees today. I don’t know about you, but I’m not prepared for this. Low of 69. Saturday: High of 80 (that’s less scary), with scattered thunderstorms in the afternoon. Because it’s summer in Richmond. Sunday: High of 87 for Mother’s day, low of 64. You can probably get away with eating brunch outside, since it won’t hit the high until later in the day. This entry was posted in Weekend Planner and tagged competitions, peak news, weekend-planner. Bookmark the permalink.